Rear Gunner: Sgt R Phillips Cloudy. 25 aircraft took off to attack Duisburg, of which 21 attacked the primary target. Three (ND911, ME754, ND802) returned early with various technical failures and ND804 (Willis) failed to return. Another aircraft LL865 (Humphreys) was attacked by an enemy fighter and the navigator (Hill) was injured, the aircraft also being damaged. Cloudy. 25 aircraft took off to attack Duisburg, of which 21 attacked the primary target. Three (ND911, ME754, ND802) returned early with various technical failures and ND804 (Willis) failed to return. Another aircraft LL865 (Humphreys) was attacked by an enemy fighter and the navigator (Hill) was injured, the aircraft also being damaged. F/S John Dudley Perfrement (RAAF) – Pilot. Sgt William Frederick Hall (RAFVR) – Nav. Sgt Albert Kirkham (RAFVR) – A/B. P/O John Duncan Craven (RAFVR) – W/Op. Clear sky all day and brilliant sunshine. 22 aircraft were detailed to attack the marshalling yards at Angers. 6 of these were withdrawn, 2 (ND911 and another) returned early with engine trouble, but the remaining 14 aircraft successfully bombed the target in good weather. A good, concentrated attack was reported, and opposition was only slight. 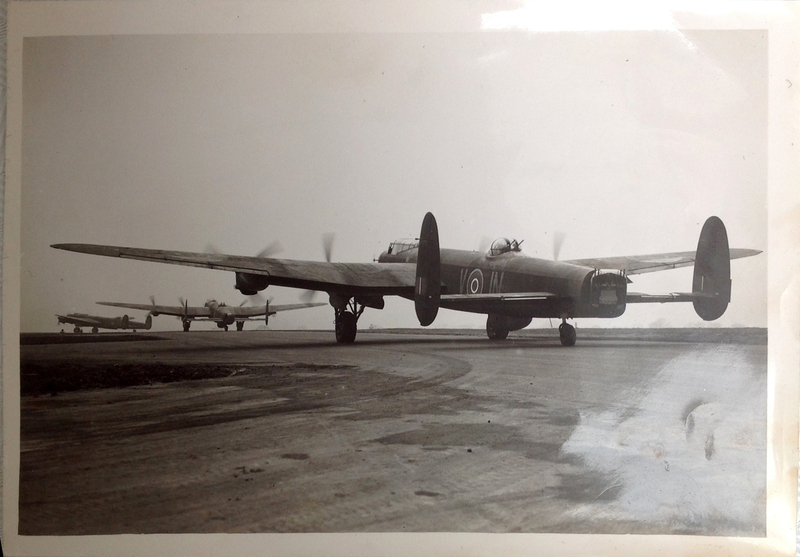 Form 541: 118 Lancasters (16 ex 75 Sqn) and 8 Mosquito’s of 3 and 8 Groups attacked the railway yards and junction at Angers, France. One Lancaster lost.